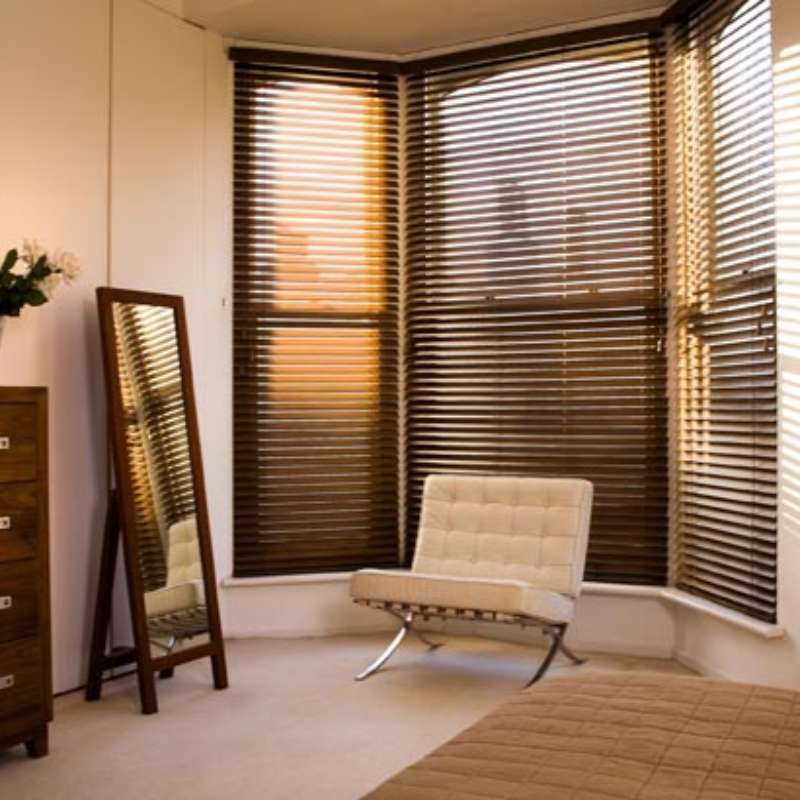 ﻿ Made to Measure Wooden Venetian Blinds at a… | The Great Shutter Co.
Our amazing selection of made to measure woodslat venetians represent the best value for genuine made to measure wooden blinds in the market. Read on to find out what makes our blinds that little bit different from the rest. Whether your are looking for stained or painted we have the blind for you. 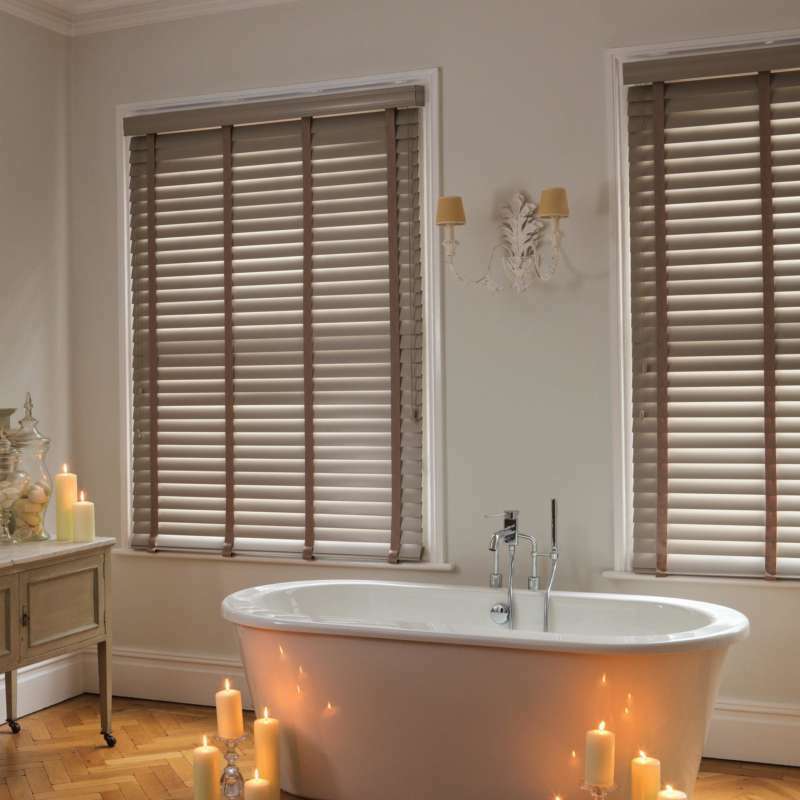 Our Venetian blinds, just like our plantation shutters, are made with just that little bit more care and attention to detail. Take our Vogue blind. 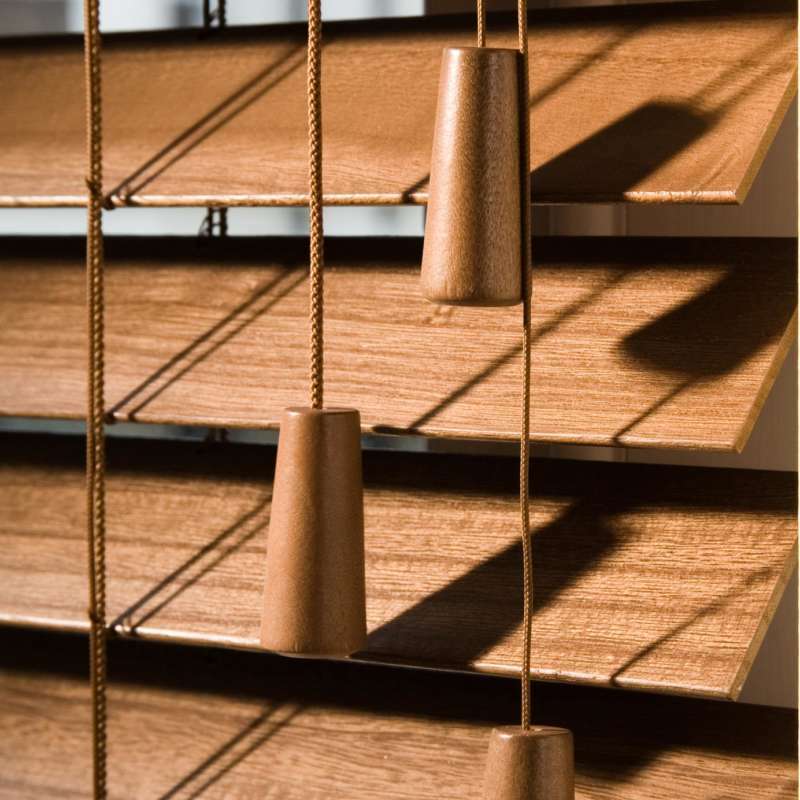 Ever thought why wooden blinds can be bought with decorative tapes. Well it's simple, it's because most Venetians are centre punched for the cords to run through. So when you want to reduce light bleed or stop nosy neighbours peering through that hole you need tapes. Our Vogue blind has tiny holes punched at the edge of the slat (see or 2 close up images to see the difference) and so when the blind is closed there is no visible hole for light bleed or any privacy issues. If you want tapes well you can of course have them. Other advantages are that we make our blind within 6mm of the drop height - so no unsightly stacking of spare slats when the blind is down. Our trapezoid bottom rail has a couple of advantages. 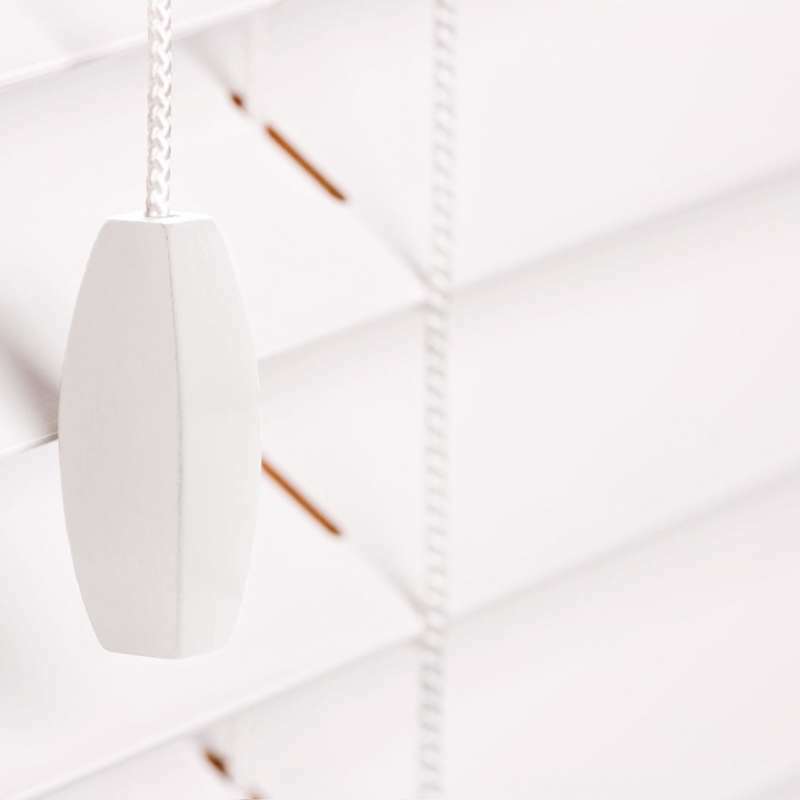 Cheaper blinds have a square finish on the bottom bar and also buttons to secure the cords. Ours have a trapezoid design and a flush finish on the bottom so that means no scratching of your sill or constant rocking of the blind. 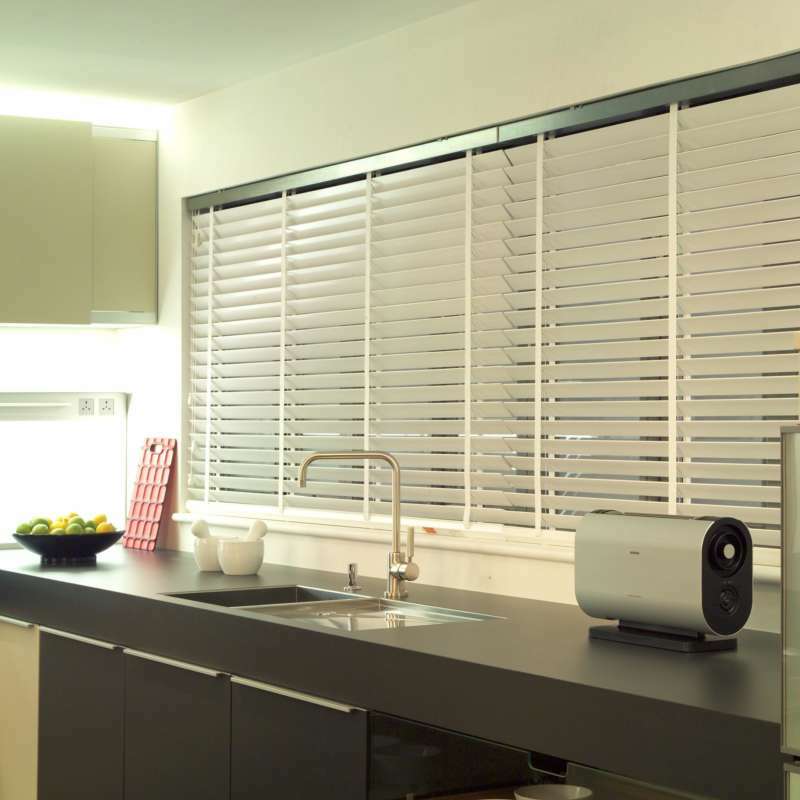 We make our Venetian blinds so they sit at the back of the headrail and that means they sit closer to your window reducing light bleed and privacy issues. Our Ventians can be made to match the same colour you choose for your shutters so there is no reason why you can't mix and match your window coverings and still have a uniform look. 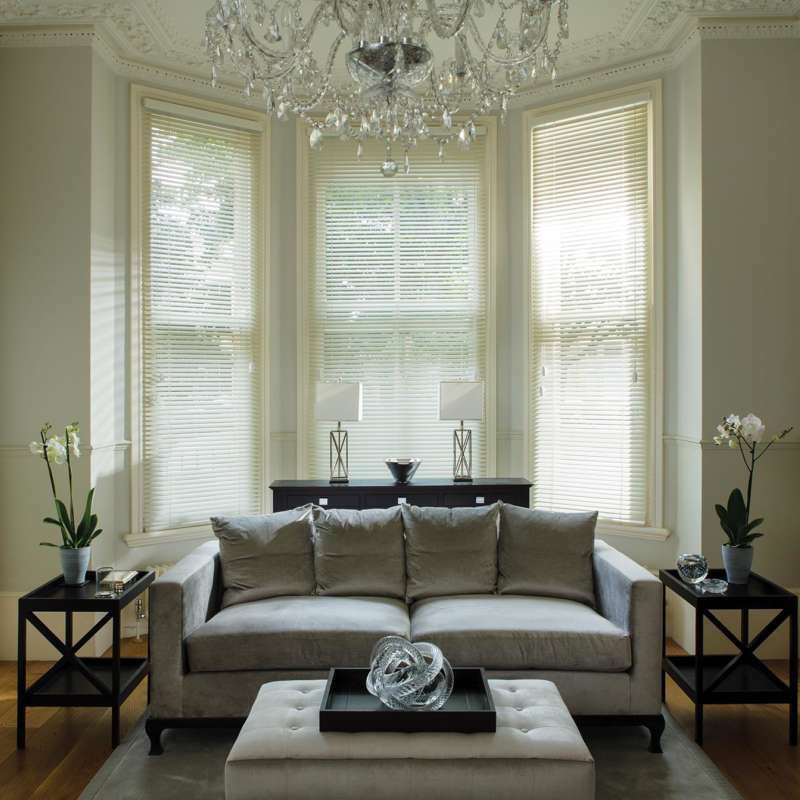 We also have a range of standard Venetians but frankly our Vogue range represents such excellent value for money why have a cut down or made to fit blind when you can have a genuine made to measure blind for similar money. And naturally we meet or exceed all current standards such as those set for child safety. 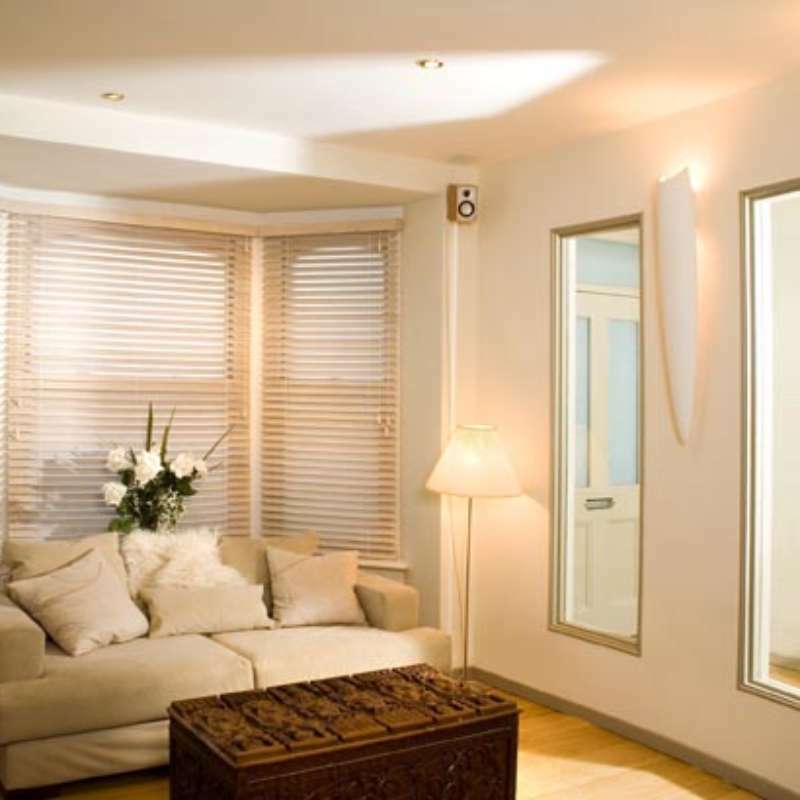 So if you are looking for Venetian Blinds in Hampshire please contacts us. We cover Southampton, Winchester, Basingstoke, Petersfield, Alton, Andover and Romsey and all that's in between.